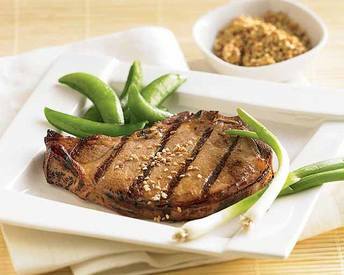 Coffee marinated grilled pork chops! A tasty and spirited combination! A rich coffee-flavored marinade with hints of sweet molasses and spices. The stronger the coffee is brewed, the more complex the flavor.